For your convenience, we offer tent and sleeping pad rentals. This offer does not include sleeping bag. Shuttle Services (Price includes round trip). Shuttle services run only the first day and last day of camp. For Texas Camps Airport shuttle: $40 round trip Austin-Bergstrom International Airport Austin TX., is your flight destination. Airport code – AUS. Please reserve your flight to arrive AUS no later than 12 noon, earlier is better. Departing flights no earlier than 3:00 PM. California camps begin at 4:00 pm on the first day. You must arrive in Medford OR. on the first day of camp no later than 12:00 pm (noon) for pick up at the airport. California Camps end at 12:00 pm (noon) on the last day of camp book your return flight 3:00 pm or later. We suggest you arrive the day before camp and we will pick you up on the first day of camp at your hotel/motel to reduce any possible delays. Other students are arriving by bus or train and need shuttle service as well. Train services are Amtrak (DUN) to Dunsmuir, CA. with a round trip camp shuttle service for $75.00. If you prefer to rent a knife during camp there are benefits to renting vs buying a knife. With renting you can try out several knives without the cost of purchasing. 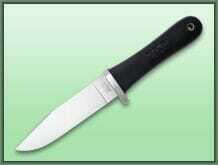 Besides SOG Knives we also have several Mora knives available for rent. See the drop down menu. “The best survival knife is the one you have with you.” Chris @ SOG Specialty Knives and Tools.